Learn about 6 best yoga poses and exercises for a flat tummy in this article. Perform them regularly for desired results. The key to reducing belly fat is to perform exercises and eat healthy regularly on a daily basis. Belly fat is one of the most stubborn fats that your body acquires. While belly fat collects easily, it’s a tough task to reduce its presence. A wrong lifestyle, unhealthy eating habits, lack of exercise and high stress give rise to loose belly. Belly fat is excess abdominal fat that surrounds the organs in your stomach area. There are three types of belly fat namely, triglycerides, subcutaneous fat, and visceral fat. Triglycerides are the fat that circulates in your body, subcutaneous fat is the layer below the skin’s surface, and visceral fat is the “dangerous belly fat.” Visceral fat is the belly fat located beneath the muscles in your stomach. Why is Belly Fat Unhealthy? Belly fat produces excess hormones and chemicals inside your body which in turn can have negative impacts on almost every organ of your body. Visceral fat can be very harmful to your health as it can cause serious health issues such as cardiovascular diseases, Type 2 diabetes, and colorectal cancer. If you wish to know whether your belly fat is unhealthy or not, you can measure it at home using a measuring tape. All you have to do is to wrap the measuring tape around your bare belly, directly above your hip bone. For women, if the measurement exceeds 35 inches, it’s an alarming sign for unhealthy belly fat. Whereas for men, it should not exceed 40 inches. Regular exercises can help you a lot in getting that lean body in a few months. Half n hour of healthy aerobic exercise, yoga, jogging are all helpful options you should consider. Walking helps to burn a lot of belly fat too! Here are a few yoga asanas that you should perform daily to burn excess fat out of your body! Lie down on a flat surface or yoga mat in the prone position with legs joined together. Let the arms rest on either side of your body with the palm touching the floor/mat. While exhaling bend your knees in an upward direction. Lift up your head and bending backward use your hands to hold your ankles. Try to lift your knees higher while inhaling deeply. Kepp all the pressure of your body weight on the abdomen. Hold in the position for about 5-10 seconds and relax 15 seconds after every repetition. You should breathe normally while holding the posture. Lie down straight on the mat with your back on the floor. The heels should touch each other. The position of the hand should be on either side of your body with palm touching the surface. Take a deep breath and exhale slowly, while doing this tilt your back while bringing your head backward in direct contact with the floor. Without hurting your back, stretch to your maximum level and don’t move your hands. Take a deep breath and raise your legs from the floor so that it makes a 45-degree angle with the ground. Try to hold this position for 15-30 seconds. This can be slightly difficult for starters, but gradually you’ll be able to do this easily till then don’t be harsh on your body. 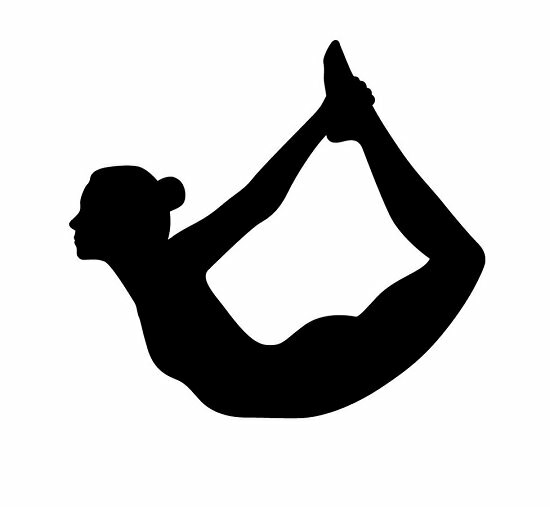 Now raise your legs to make a 90-degree angle with the ground and hold this position for 30 seconds. 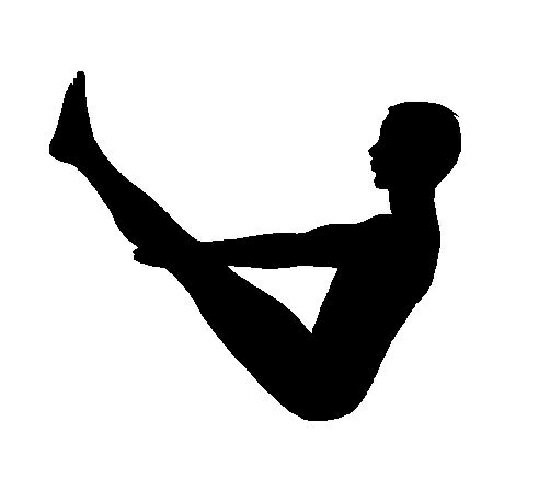 After 30 seconds, slowly bring back your legs to the initial position. It is recommended to rest for 15 seconds after every repetition. Lie down on a mat in the supine position with legs stretched out and hands on either side of the body. Inhale once, then exhale and lift your body from the ground. Stretch out your arms and keep them parallel with your legs. Keep your fingers in the same line as your toes. To start with, hold the posture for 30 seconds and then exhale deeply and relax your body back to the supine position. Rest for 15 seconds after every repetition. Sit in Vajrasana position. Vajrasana is a sitting position wherein you need to sit on your heels. Learn more about this pose at Style Craze. While exhaling, create an arch position with your back. Your hands should now touch your ankles. Tilt your head backward and keep doing this until you feel a stretch in your belly. Hold the position for 30-50 seconds and then relax to come back to the initial position. Keep the relaxation time of 15 seconds after every try. Begin in a position where your elbows should rest directly under the shoulders and legs hip distance apart. Take a deep breath and look slightly ahead of your palm such that your neck is aligned with the spine. Keep your abdominal muscles engaged and hold them in. Your hands should be perfectly flat on the ground, and the body should be straight from head to toe. Try holding the posture for 15-20 seconds and then exhaling slowly to come back to the normal supine position. Relax 15 seconds after you complete each round. TIP: Don’t perform this posture if you have back pain issues or high blood pressure. Lie down in supine position such that your legs are stretched out, and your heels touch each other. Rest your arms on either side of your body. Bend your knees and then exhale to bring the bent knees to touch your chest. Your thighs should exert a force on your abdomen. With the help of your hands, hold the position correctly. Exhale and try to touch your knees with your chin. Don’t force your body; it can cause serious injuries. Hold the position for 60-90 seconds while breathing normally and then relax while exhaling. Do 5 rounds of this pose after 15 seconds of relaxation after every round. Yoga is not easy, you should always keep in mind that not every pose is for everyone. Neither your should force yourself on doing some asana. Pregnant ladies, people with leg, back or neck injury or someone who has undergone surgery should avoid doing these yoga poses. If you feel discomfort, dizziness or extreme pain after doing any asana, please don’t continue and start walking and running instead to lose fat.